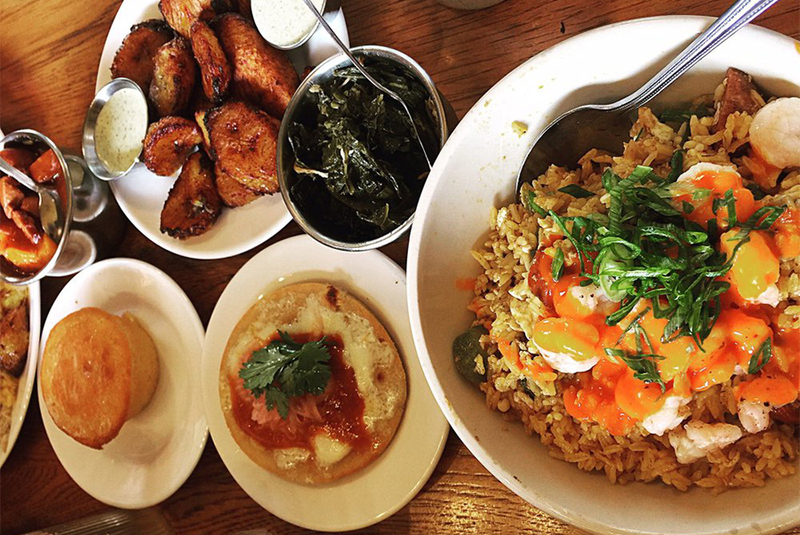 MINNEAPOLIS (WCCO) — Craving soul food food? Hoodline crunched the numbers to find the top soul food spots around Minneapolis, using both Yelp data and our own secret sauce to produce a ranked list of where to achieve your dreams. Topping the list is Brasa Rotisserie. 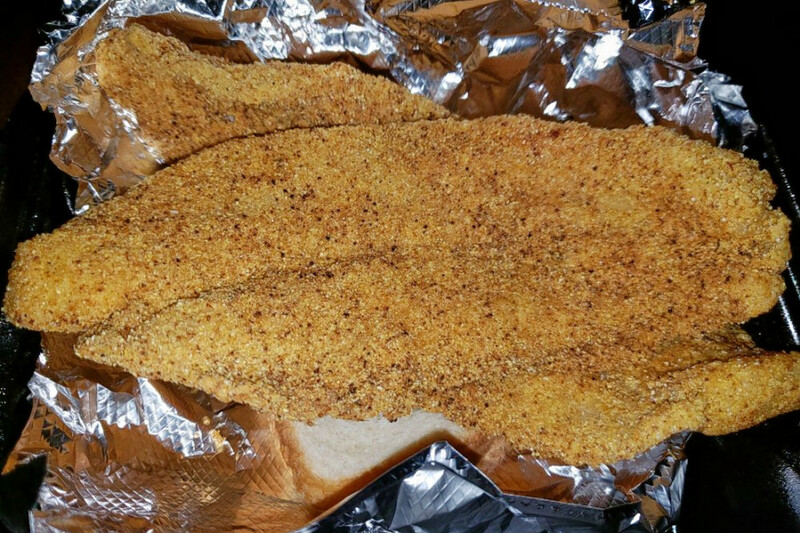 Located at 600 E. Hennepin Ave. in Marcy Holmes, this Southern and Caribbean spot is the highest rated soul food restaurant in Minneapolis, boasting 4.5 stars out of 920 reviews on Yelp. This small chain based in the Twin Cities metropolitan area offers plates, bowls, rotisserie meats, sandwiches and more for dine in, delivery, take-out and catering. Look for entrees like free-ranged fried or scrambled eggs, slow-roasted pork or rotisserie chicken plates, andouille sandwiches, gumbo fried rice with okra, shrimp and peppers, and much more. Or take home rotisserie meats with a variety of sides. The full menu can be seen here. In business since 1998, Smoke In The Pit offers a range of lunch specials, dinner entrees, meat-only plates, combos and a la carte sides. Expect options like the pulled pork dinner with fries and choice of side (baked beans, mac and cheese, fried spaghetti, greens, etc. ); a bucket of chicken wings; catfish nuggets and beef brisket sandwiches. Here’s the full menu. 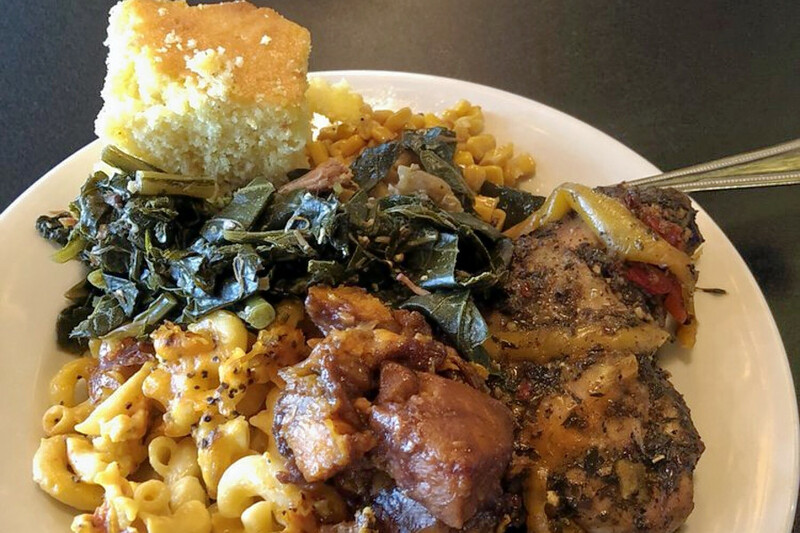 Mama Sheila’s Soul Food Kitchen, a soul food and buffet spot in Powderhorn Park, is another go-to, with four stars out of 20 Yelp reviews. Head over to 3744 Bloomington Ave. S to see for yourself. Bring your appetite and dive into Mama Sheila’s buffet, which offers a wide range of soul food and international dishes, including barbecued beef ribs, breaded fish, meatloaf, chicken curry, spaghetti and meatballs, potato salad, black eyed peas and candied yams. Diners can also opt to order gyros, cheesesteaks, burgers and more from the kitchen. Check out the spot’s website for a full list of offerings.